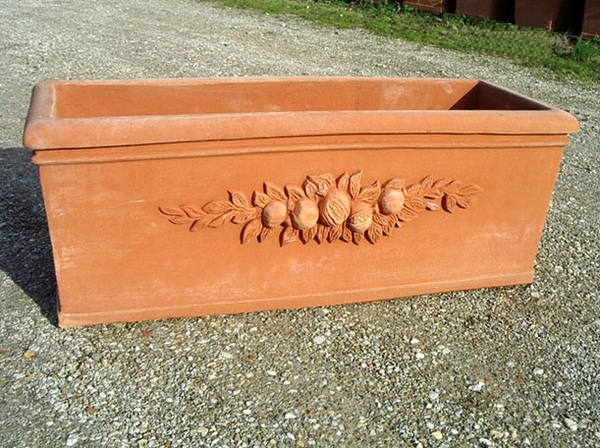 The terracotta products of Impruneta differ quite a bit from other terracotta products. This has to do with the distinctiveness of the Tuscan territory and from the use of a special chemical composition the clay. The raw material, once processed and burned, gives the product ultimately its extraordinary high resistance against freezing and all weather conditions, as well as a warm and colorful tint. The unique quality of these products makes them harmonize with each and every environment. The Impruntan terracotta originates from the first Estruscan settlements. During the renaissance many artists found the use of terracotta products with the origin Impruneta, among those "Il Brunelleschi“ who used them to finish the covering of the Dome cupola.